August 2017 - All Care Hawaii. LLC. Home Health Care in Honolulu HI: If your loved one has started exercising, she’s also likely experienced one or more small injuries associated with exercise. Do you know what to do when that happens to your loved one? Elder Care in Kahala HI: Finding out that your elderly parent has cancer is a life-changing moment for them, but it can be distressing for you as their family caregiver as well. You understand that you will need to help your parent make a variety of challenging decisions and it is critical that you ask yourself if you are prepared for this experience. 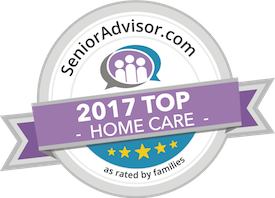 Homecare in Honolulu HI: For family caregivers and senior care providers of people with MS, understanding how heat affects MS symptoms and what to do about it can mean better overall management of the disease.